Our Competition is now complete, see the winners here! Our first ever Worbla Competition is now complete! Have you ever wanted a chance to experiment with Worbla’s TranspArt and haven’t had the chance? Are you a thermoplastic fan? Propmaster extraordinaire or just especially crafty? Want to win big and show off what you can do? Enter our Worbla’s TranspART Competition! With a grand prize of a $500 gift card to CosplaySupplies.com – Good for Worbla, Makeup, Wigs and anything else you can imagine – and Second and Third place to receive $100 in Gift Certificates each, we had a fantastic response with more than 40 applicants for round one! Did you miss the contest but want a chance to try TranspArt yourself? Check out our TranspArt Sale for half off a medium sheet of TranspArt! Each Round was given a theme and supplies and asked to create something to fit the theme, and entries were both judged by a team of experienced judges, as well as a second Audience Vote. You can see the entries for Round One and Round Two on their Audience Vote pages. 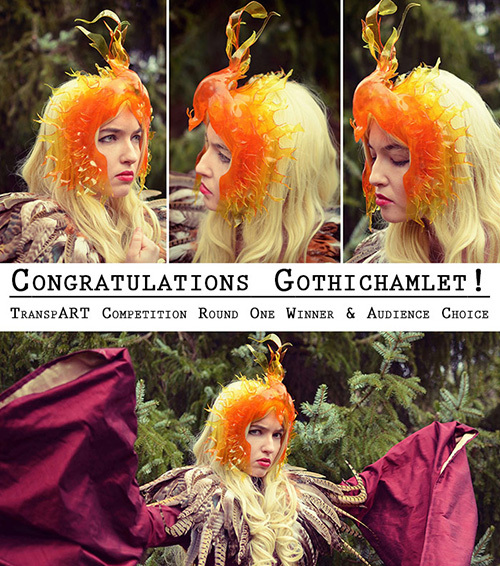 Gothichamlet created this amazing Phoenix headpiece with TranspArt and iDyePoly. 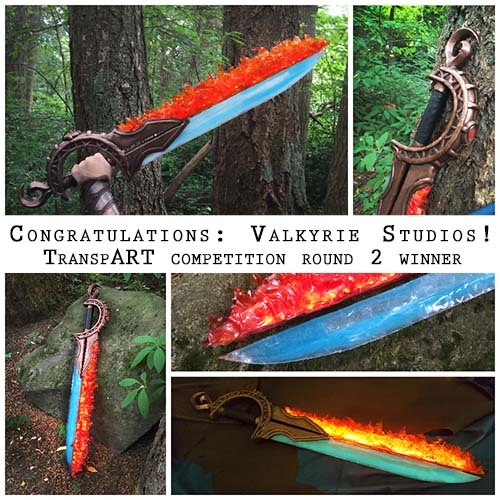 Valkyrie Studios used TranspArt, iDyePoly and Worbla’s Finest Art to create this sword of Ice and Fire. 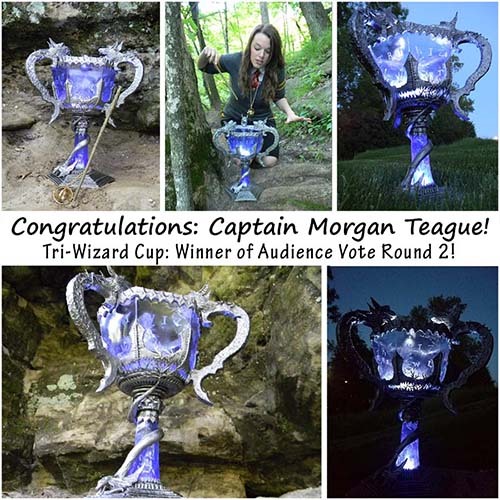 Captain Morgan Teague used TranspArt, iDyePoly and Worbla’s Finest Art to recreate the fabled Tri-Wizard Cup from Harry Potter. This round’s theme is more about the end goal: Tutorial! We are asking you to submit a final project – of anything you would like – and include a tutorial on how you made it. Projects can include a finished prop or accessory, or a completed piece that is part of a larger costume – a chestplate, pauldrons or bracers for example. You can also create a ‘set’ – say a pair of glowing daggers and matching chestplate. Your tutorial needs to be for a complete piece, not a single part – ie “How to make a Glowing Dagger” not “How to make a dagger glow”, but if you make a series of items, you can choose to submit the tutorial for only one of those items. Your tutorial can be written with images like a blog post, or submitted as a video (or both if you feel very adventurous). If you’re not sure how to create a blog post tutorial, let me know and I can help. We ask not to submit pictorials or large images with text (Ie: the Deviantart method) as the text is not searchable and can be difficult for those looking to use translations. 2-5 clear, clean images of the final product. 1 Medium Sheet of Worbla’s Finest Art or Black Worbla, your choice. Your photography and how your project is presented is judged here. This will be judged in comparison to all entrants: If everyone submits a prop photographed against a white background, everyone will receive high marks. If someone photographs their project with a well-lit model or setting, they will receive higher marks than a plain background image. A high end camera is not needed for this, but please take some time to consider your images. How is your piece finished? Is it clean, well painted, smooth or textured the way it should be? Are your seams neat or invisible? This category will score you on how your final project looks as a whole. If it’s meant to be worn or used, we’ll judge the fit on the model. How complex is your design as a whole? This is scored out of 5, and looks at your entire project. How complex is your TranspArt use within the project? Using TranspArt for a 1 inch flat cutaway on a large foam gun would be scored as a 1, for example, whereas a twisted ice crown with floating ice butterfly could be considered a 5. Is your tutorial clear and easy to follow? Are you covering just one basic technique or a more complex project? A Tutorial for a flat bracer in six steps will score, in theory, lower than a tutorial for a Legend of Zelda Shield in 20 steps. Individual judges scores will be private, and final tailed scores will be released when the winners are announced. There will be a poll to judge audience favorite, for a special round prize. Audience votes will not influence your final score. If you do not have a finished piece by the competition deadline but would still like to compete, submit your unfinished piece with the above judging criteria in mind. While you will be docked points, you may still be considered for the second round. We will credit photographers on Worbla.com for images used, as long as we are given credit information, however. Entrants will be credited in all media posts as well as on Worbla.com. Entrants keep all projects and materials sent to them for the duration of The Contest. This will be a time investment, so please make sure you can dedicate to this before you enter! Rounds will be 2-4 weeks in length and no more than 2 weeks apart at most. If you don’t finish you’ll be disqualified or you will have your score heavily penalized. Progress photos are important! It’s highly suggested you take photos not just of your finished project, but of some of the steps along the way. Make sure you have a way to document these nicely! The Grand Prize will be $500(USD) gift certificate to be used at CosplaySupplies.com. Second and Third place will receive a prize pack totaling $100(USD) each. Judging rubric by TranspArt contest staff will be based on complexity, finishing, presentation, use of materials and theme. The breakdown will be posted before the first round. 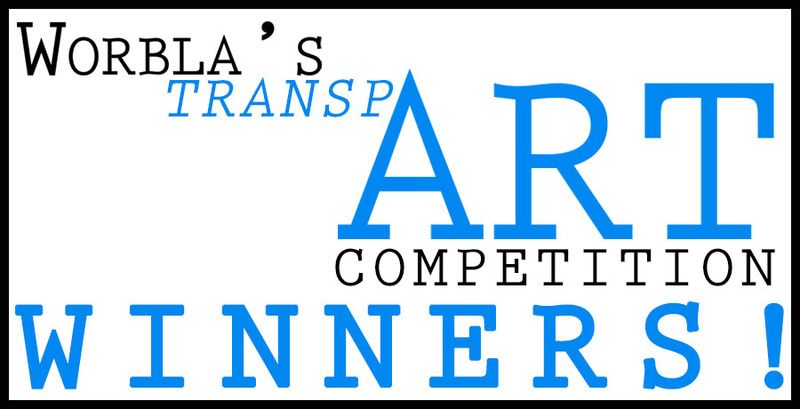 Submissions to enter our TranspArt contest open today and close at 11:59pm EST on March 13th, 2016. All entries will receive an email confirming if they have been accepted into the contest. All entries must be sent to amanda@worbla.com with “TranspArt Competition Entry [YOUR NAME]” in the subject title. Looking for the full contest rules? You can find all the legalese here! Kudos goes too to Arda Wigs for their always-inspiring Iron Wig competition, as well as Food Network’s Chopped, both of which we’re big fans of at Worbla.com and helped inspire this competition.